Happy New Year! 2019 came around quickly, didn’t it? I know it’s not Valentine’s Day yet, but today I want to talk about romantic rendezvous. For those of you I’m friends with on Facebook, you’ll have seen that I spent December on an adventurous trip around the USA. We packed a lot of bucket list activities into four weeks and even managed a few promo photos with some stars you may recognize. Overdrive had a few romantic encounters on the trip. The very popular Minnie Mouse took a moment to hold a copy and pose for photo at Disneyland, Anaheim. That was pretty awesome. On our next stop in Vegas, we visited the 4th floor of the M and M store where NASCAR number 18 holds the floor, so that seemed like an appropriate rendezvous point for the Calhouns to enjoy. To my disappointment though, Danny Koker from Counts Kustoms wasn’t in when we visited his garage on the tour (now that would have been my kind of romantic rendezvous! ), but we did get a look at the amazing custom cars in his showroom. The Calhouns would have loved Koker’s collection. January through to March will be jam-packed with Romantic Rendezvous for me. I’m taking Country Suspense on the road to our local Big W’s here in Perth. I’ll be spending a day with the awesome Lily Malone at a few of the Big W’s on January 19th 2019, signing books and having a ball. If you’re in Perth, come in and see us at Armadale, Belmont and Riverton Forum. Lily’s fabulous new read, The Cafe by the Bridge is one not to be missed. Full of wonderful country humour, this book will keep you entertained, smiling and crying right up until The End. And here’s another romantic rendezvous for you, because there’s nothing like a good Australian Rural Romance to keep you warm. Once again, our lovely Australian Rural Fiction authors have come together to give the gift we all love best. Books, books and more books! To be eligible to enter, you will need to be a member of the ARF FB group. I can vouch that it is a great group where you will discover many more authors to interact with and more books to add to that ever-growing TBR pile, so join us here today. Enter the Rafflecopter for a chance to win a book pack of signed print copies from some of our wonderful authors. The winner will be drawn on Australia Day. ​Click the PLAY button in the link above to see all the books on offer. 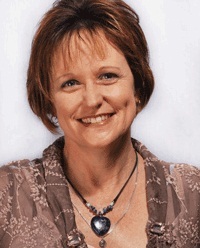 March will see Shadows over Wongan Creek join Whispers and Secrets on the shelves, making Wongan Creek a three book series. I’ve seen the mock up of the cover and it’s beautiful. I can’t wait to share it with you very soon. 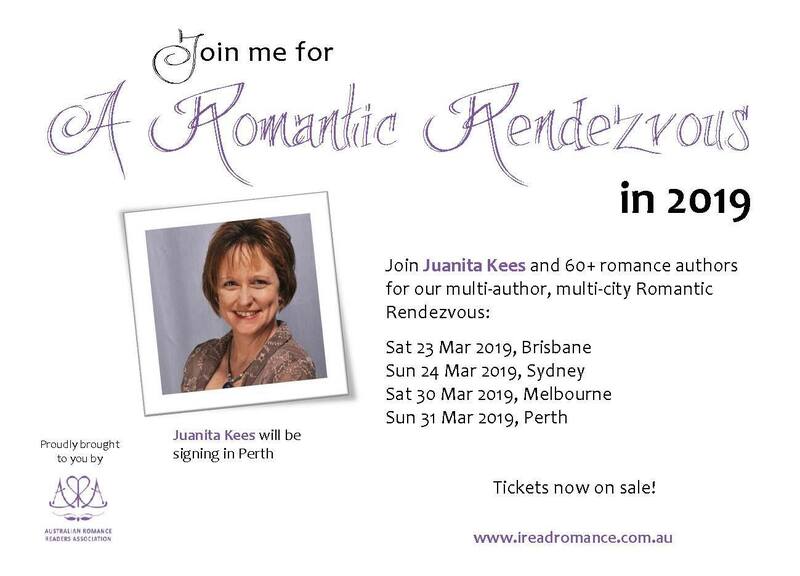 The most exciting Romantic Rendezvous of 2019: Every year, the Australian Romance Readers Association presents an opportunity for readers to meet their favourite authors. For the first time, I will be signing at this event in Perth. This year’s Romantic Rendezvous features special guests, Sherrilyn Kenyon and Celeste Bradley. I’m so excited that I’d like to offer Australian readers the chance to win a door ticket to the event, supplied by courtesy of ARRA. The winner will also receive a gift bag of goodies and a copy of Country Suspense by Sarah Barrie, myself and Melissa James. To enter the competition, leave a comment on this blog to tell me where and what your ideal Romantic Rendevouz would be. The competition closes on February 14th and winners will be notified via email and on this blog. Open to readers in Australia only. If you’d like to know more about this event, please visit ARRA’s blog.